The FOX 8 I-Team obtained police body camera video showing a dramatic rescue of a dog that was left hanging over a second-story balcony. This happened Saturday evening on the city’s east side. The owners of the dog had him tied on a leash on the outside balcony. The dog jumped over the balcony and ended up hanging over the railing. “The dog at the top of my house on the second floor, he is dying; he is choking. The dog is dying,” a frantic woman tells a 911 dispatcher. She lived on the first floor of the house, and as soon as she saw the dog she called police for help. “The dog was hanging by his neck and clawing for his life,” Phelps told FOX 8. 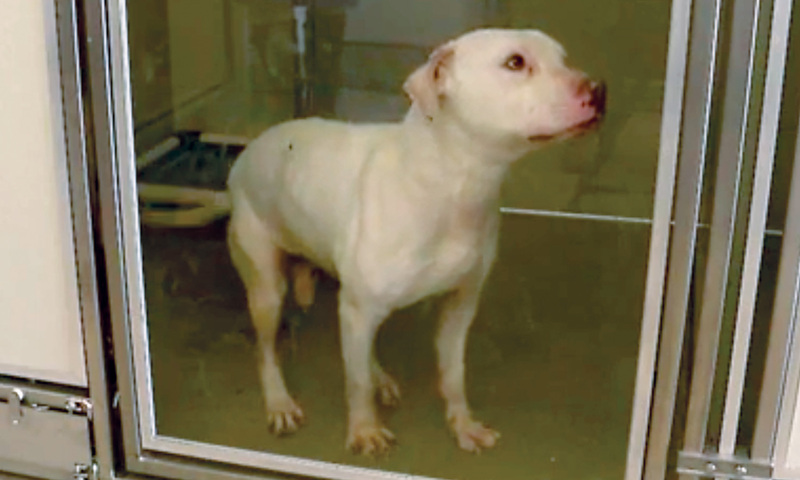 Police officials believe Phelps’ quick actions saved the dog. “It seems pretty obvious from the video and just the state the dog was in that had he not gotten there this dog would not have made it,” said Sgt. Jennifer Ciaccia.